For several years, the Texas Supreme Court has been moving toward viewing attorney-client fee contracts differently from other contracts. A new body of contract law specific to attorney fee agreements has emerged, and our firm is at the cutting edge of this new area of law. If your lawyer made you sign an unfair fee agreement contract or charged you a fee that is excessive or inappropriate, you may feel like you have no recourse because of the power differential that exists between you and your lawyer. That’s where we come in. At Daniel Sheehan & Associates, LLP, we aggressively represent individuals and organizations that have been treated unfairly by lawyers and law firms. 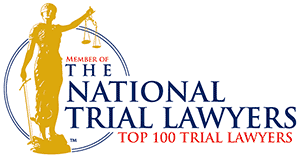 We have helped many clients who have been involved in fee disputes with their lawyers. In one well-known case, Hoover Slovacek LLP v. Walton, 206 S.W.3d 557 (Tex. 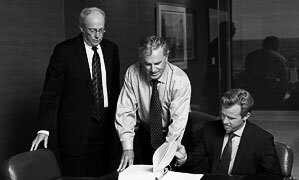 2006), we prevented a law firm from collecting an excessive $1.7 million claimed contingent fee from a client who had fired the law firm prior to the settlement of their case. The Texas Supreme Court upheld our position that the termination provisions in the law firm’s fee contract were contrary to public policy and unconscionable, and therefore unenforceable. The Walton case represents significant precedent in Texas law regarding attorney-client contracts. 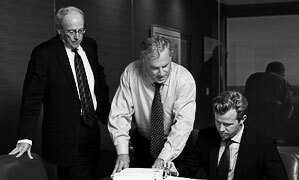 Legal malpractice attorney Dan Sheehan has spoken, written and presented extensively on subjects related to attorney fee contract disputes, with written submissions to legal journals, and speeches and roundtables in continuing legal education settings. 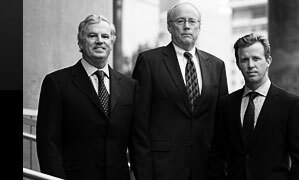 Contact the Dallas attorney fee dispute lawyers at Daniel Sheehan & Associates, LLP, to discuss your case.